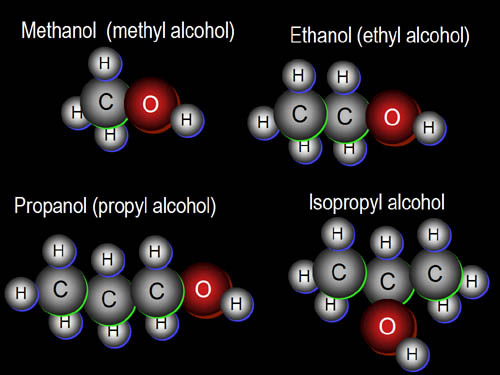 Alcohols: Any organic compound in which the hydroxyl functional group (-O H) is bound to a saturated carbon atom. The term alcohol originally referred to the primary alcohol ethyl alcohol (ethanol), the alcohol in alcoholic beverages. 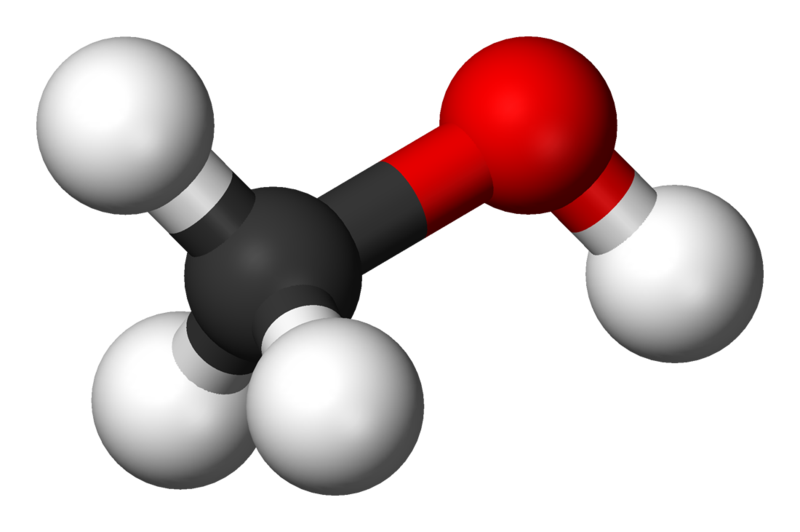 Methanol, wood alcohol, methyl alcohol – CH3OH (MeOH). Used widely as a solvent and as a cleaning fluid, especially for dissolving oils. 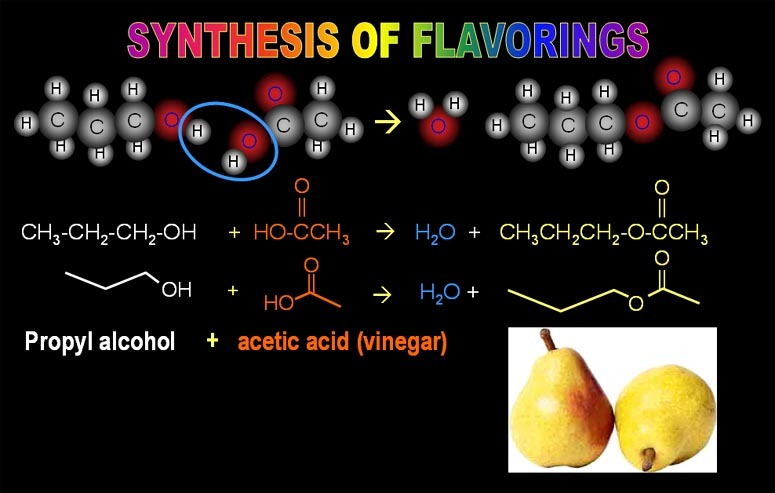 Dehydration Synthesis : how to make pear flavoring. Top row = space-filled models. They show the space that each atom takes up. Bottom row = skeletal structure. Chains of C atoms are simply drawn as lines (every bend in a line is a C. C atoms also at end of line, if no other element indicated. Less accurate shape, but easy to draw. 8. MS-PS1-1. Develop a model to describe that (a) atoms combine in a multitude of ways to produce pure substances which make up all of the living and nonliving things that we encounter, (b) atoms form molecules and compounds that range in size from two to thousands of atoms, and (c) mixtures are composed of different proportions of pure substances. Clarification Statement: Examples of molecular-level models could include drawings, three-dimensional ball and stick structures, and computer representations showing different molecules with different types of atoms. HS-LS1-6. Construct an explanation based on evidence that organic molecules are primarily composed of six elements, where carbon, hydrogen, and oxygen atoms may combine with nitrogen, sulfur, and phosphorus to form monomers that can further combine to form large carbon-based macromolecules. 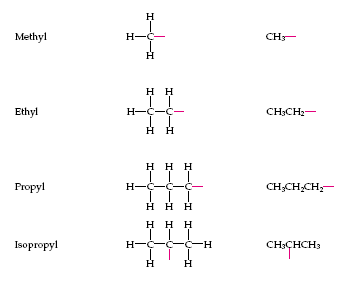 • Monomers include amino acids, mono- and disaccharides, nucleotides, and fatty acids. • Organic macromolecules include proteins, carbohydrates (polysaccharides), nucleic acids, and lipids.